Currently improved with a 48-unit condo building situated on a 71,358 sq.ft lot. 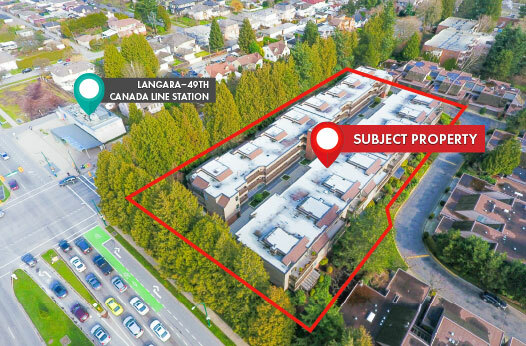 The City of Vancouver has identified the Cambie Corridor as a major focus for higher density. There have been many recent redevelopment applications and approvals for updensification in the immediate area including a proposal at nearly 6.0 FSR. Further review of this particular site could yield even higher due to its unique and high profile location.